Material: Polypropylene, aluminum. Clean the product with a cleaning solvent and a pH of 5-9 or with a 70% disinfectant. Can be decontaminated at max 85° C.
Swift is a prize-winning series of shower stools/chairs designed with functionality and simplicity in mind. 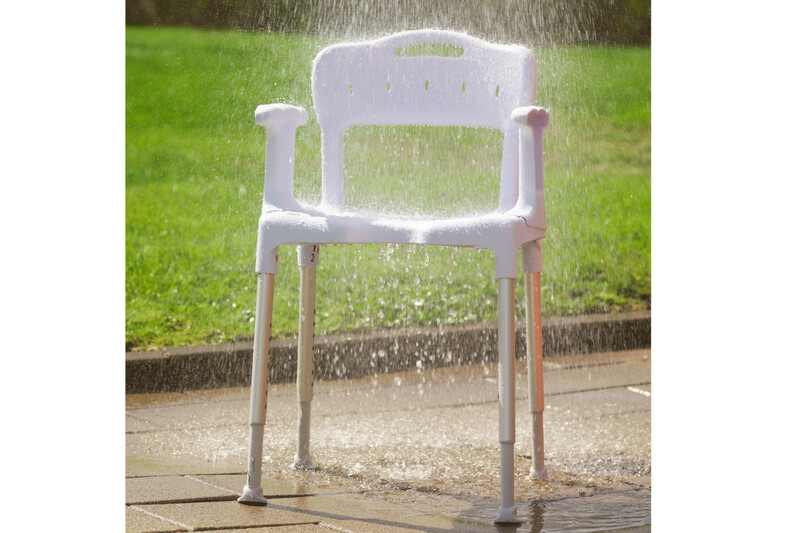 The basic shower stool can easily be transformed to a complete shower chair, by adding arms and back supports. 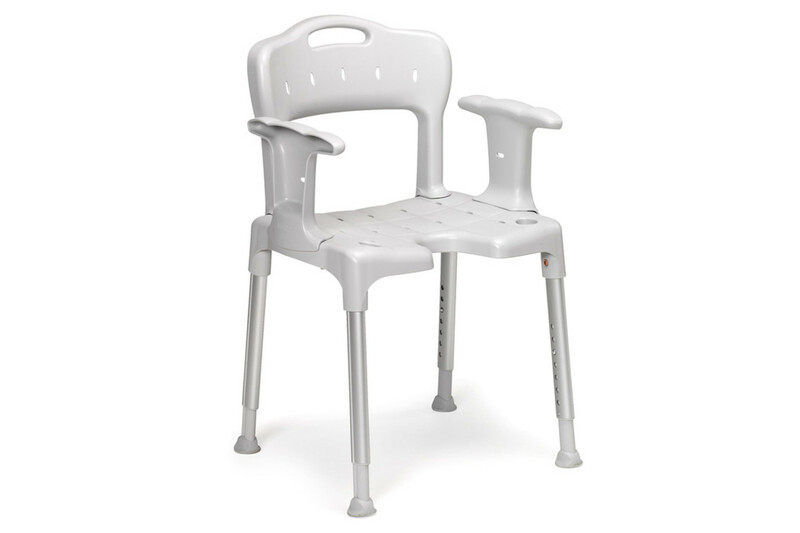 Etac Swift has a unique design that adapts to uneven floors thanks to the flexible seat. The soft, high quality ferrules adapt to the floor and ensures a good grip. All these features contribute to the users safety. Swift is easy to handle thanks to its light weight. It comes flat-packed and is assembled without the need for any tools.